I think I spoke too soon! We’re sitting in the departure’s lounge at IAH waiting for our flight to Heathrow. Yesterday we arrived with plenty of time before our flight from LAX to IAH, however a certain space shuttle had other ideas, and decided to land at the same time that we were intending to take off – which meant that we left 45 minutes late, and missed our connecting flight to Heathrow. United Airlines have been unhelpful, rude and unapologetic and we are seriously unimpressed with their service – I’ve never been spoken to like that by a customer service representative – but at least we are only 24hrs behind schedule, and will (hopefully!) arrive home tomorrow at around 7am GMT. 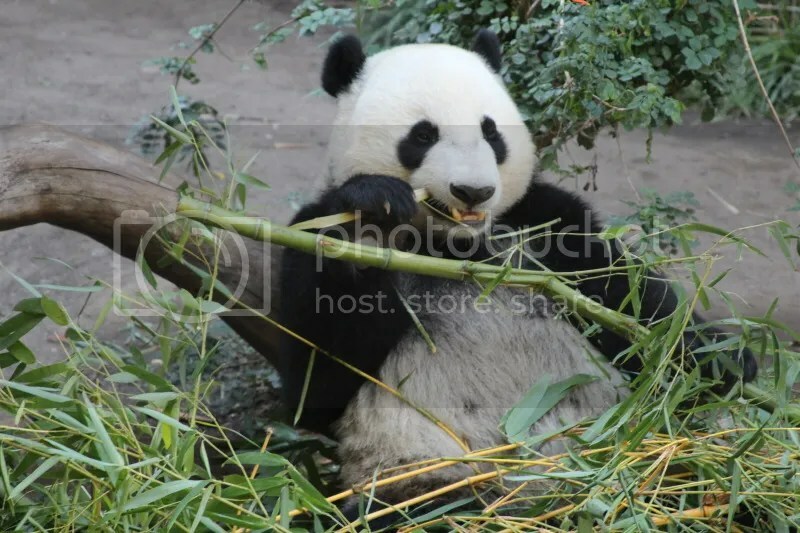 I’ve been looking at our photographs from San Diego Zoo, and the panda is especially making me happy right now. I can’t believe how strong their little mouths are; the crack as he split the bamboo for a snack was incredible! At least we are together, and Trout’s Mum is very kindly going to pick up Rasputin from the cattery tomorrow morning, so (hopefully!) I can spend the afternoon snuggling with my furball. The missed flight has thrown the weekend off a little bit, but we were able to spend the night in a hotel near to the airport (although this was only ‘discounted’, and not paid for by the airline – nor were we offered a meal voucher for dinner). That is an adorable panda. United Airlines is terrible. For some reason a lot of airlines today are, which I don’t understand because without customers no one would fly. I know – I feel like even the service on board isn’t great anymore. Such a shame! We had the same experience with United – NEVER again!! Oh gosh! It seems like United have a very bad rep. In future I will always leave a big gap between connecting flights! Yup! Us too! Live and learn! !